The situation: your book is listed as a prize winner on a major newspaper’s website. You feel: shock followed by excitement followed by more shock. You enter your beloved manuscript in a self-publishing competition run by a national newspaper. You get on with your life, occasionally wondering what the judges thought of your book. Then, to your utter astonishment, you learn that you have won! You’re stunned. You imagined the prize would go to one of the bestselling self-published books. You hurriedly navigate to the news article featuring your book. However, instead of a positive article listing its merits with one or two suggestions for improvement, the article is a badly-veiled attack on self-publishing. ‘Desperately needs a traditional publisher’ reads the opening paragraph, before launching into a haughty list of all the worth an editor could bring to the project. Editors correct repetition, editors improve pacing, editors help you vary language ... yadda yadda yadda yadda yadda yadda yadda blah yadda. It seems incredible that a national newspaper would pick your book to win an award, if they didn’t think it a good example of a self-published book, yet you have to look very hard to find an unqualified positive remark in the whole review. Let’s say, for the sake of argument, that your book is badly edited. Perhaps you neglected to hire enough editors, or got one that you didn’t gel with. Let’s say your book could be improved with a deep and thorough edit. Why then, is the journalist’s conclusion that you should go out and find a traditional publisher? You can already publish. That’s not the issue here. The issue is that you need a new editor. 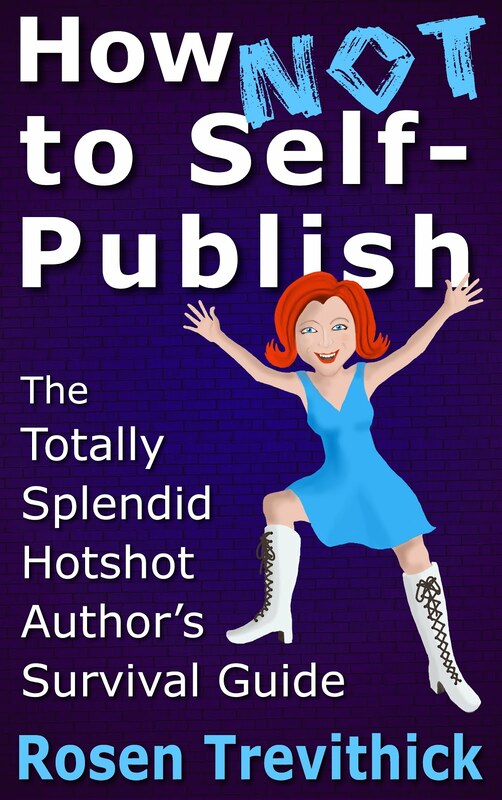 You could go through the long, laborious process of trying to find an agent who might get you a publisher who would then hook you up with an editor. However, it would be much easier to simply hire your own. Many traditional publishers use freelance editors anyway – the same freelance editors that you can hire yourself. Do not take the newspaper article to heart. Realise that newspapers and journalists have agendas too. Does the journalist have a traditionally published book out, per chance? If your book was chosen, then clearly your writing has merit. You might not have mastered the whole package yet, but with the right team of freelancers, you’ll get there. You may have to stump up a few hundred pounds for one-off costs, but the advantage is that you’ll get to keep substantially higher royalties than you’d get from a conventional publisher.